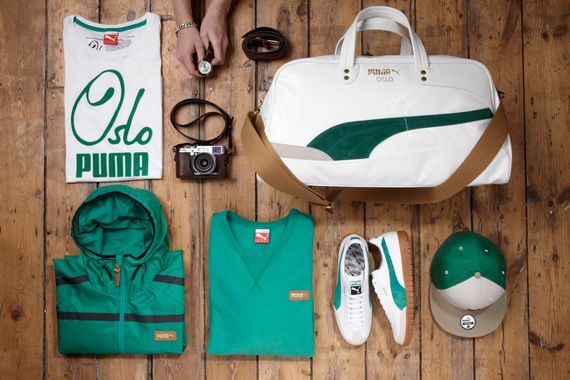 PUMA has a whole line-up of apparel set to join its Oslo sneaker which revitalizes the 1980’s silhouette and updates it for the current market. The classic tennis shoe gets done up in a white leather and suede upper that features a green or blue suede as the accent color, depending on your preference. The apparel lineup features jackets, tops, and hats all done in similar color schemes for each shoe along with some neat accessories like bags and tablet cases. 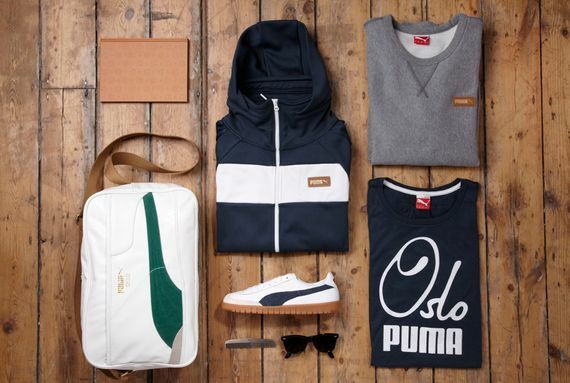 The set is prepped to drop this Spring/Summer, so check out your local PUMA retailers to get setup head to toe in Oslo gear.